Bourjois’ make-up brushes are ultra-soft and high quality – enabling easy application and a professional result every time. Perfect for use at home or on the move the short handle means it’s small enough to fit in your handbag, but with the long soft bristle head it is perfect for use with bronzers, powders and blushers. 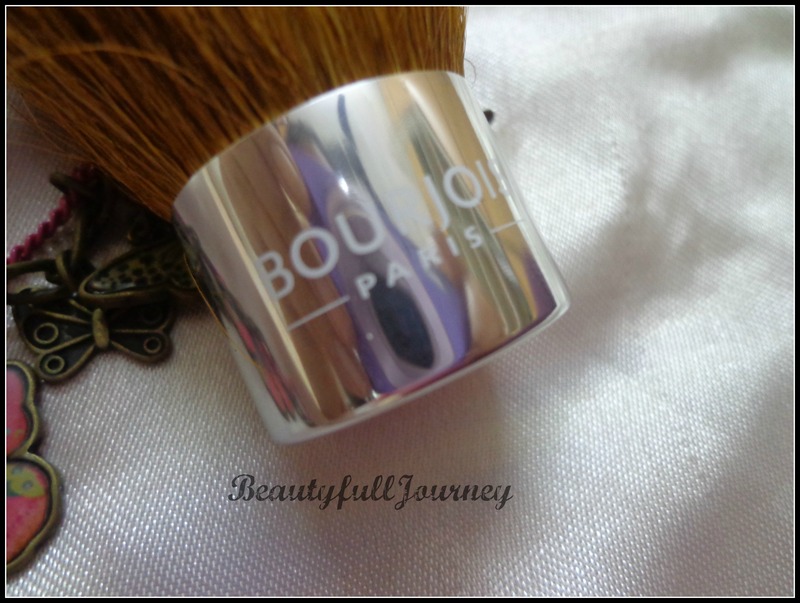 Available at all Bourjois counters. 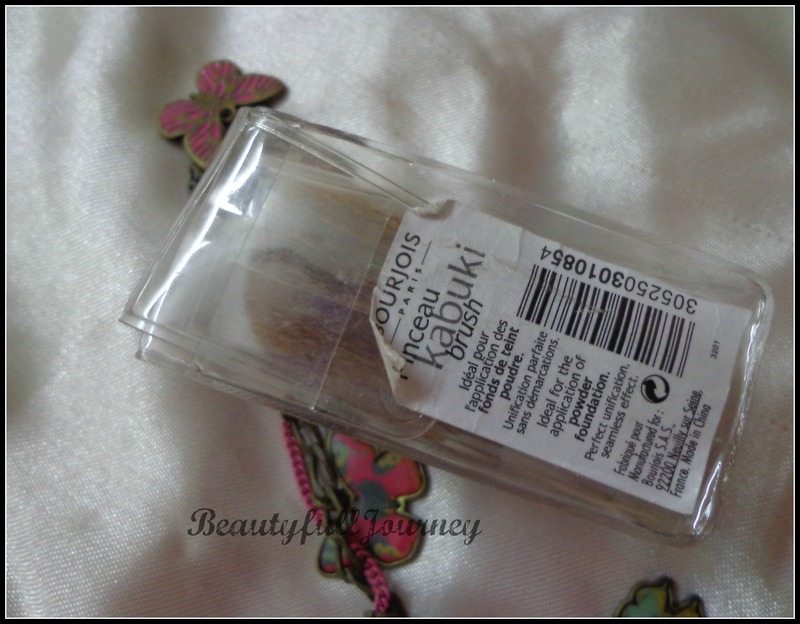 I have always been fascinated by a thick fat kabuki brush! 😛 but I could never find any that came without a hefty price tag. 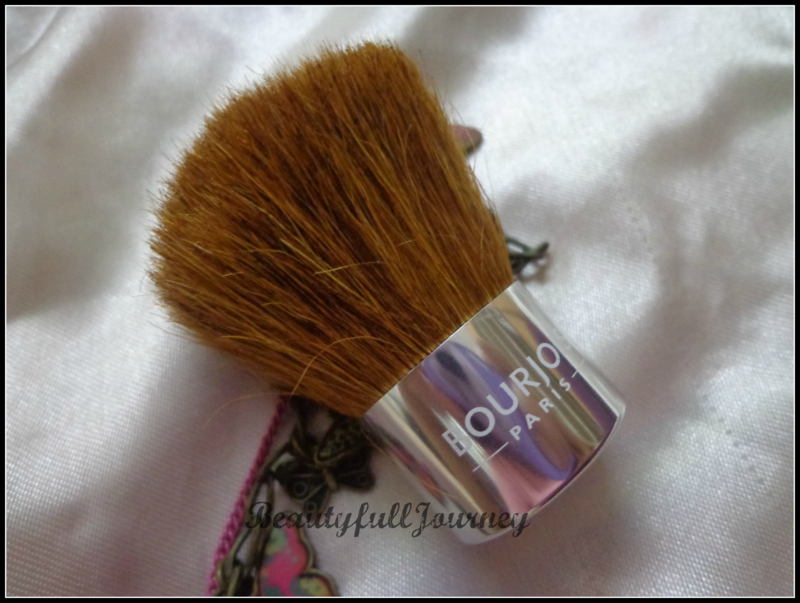 The day I bought the Bourjois Kabuki Brush was the day that changed my life, no seriously, I am not exaggerating!! This was the first FIRST face brush I ever used and now I can very confidently say that applying powder with a kabuki and with puffs that come with the product makes a lotttt of difference. 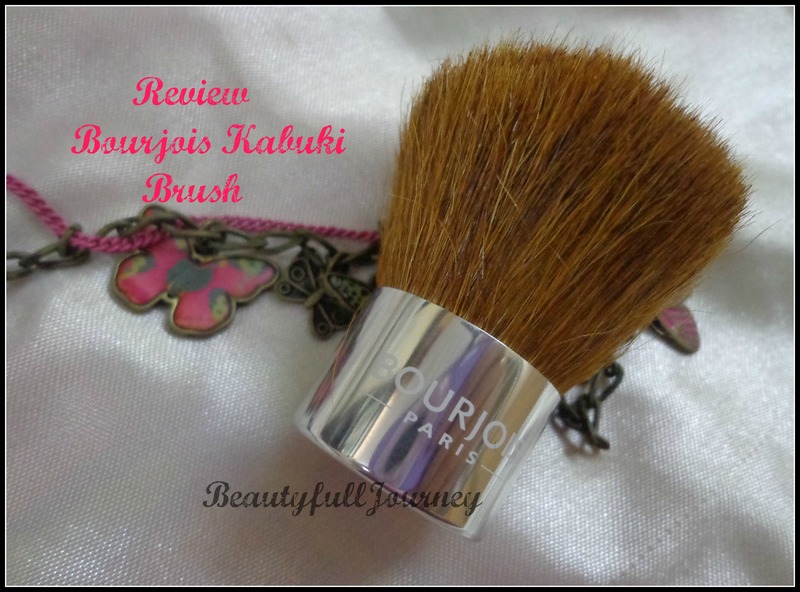 Read on to know my experience with this kabuki! 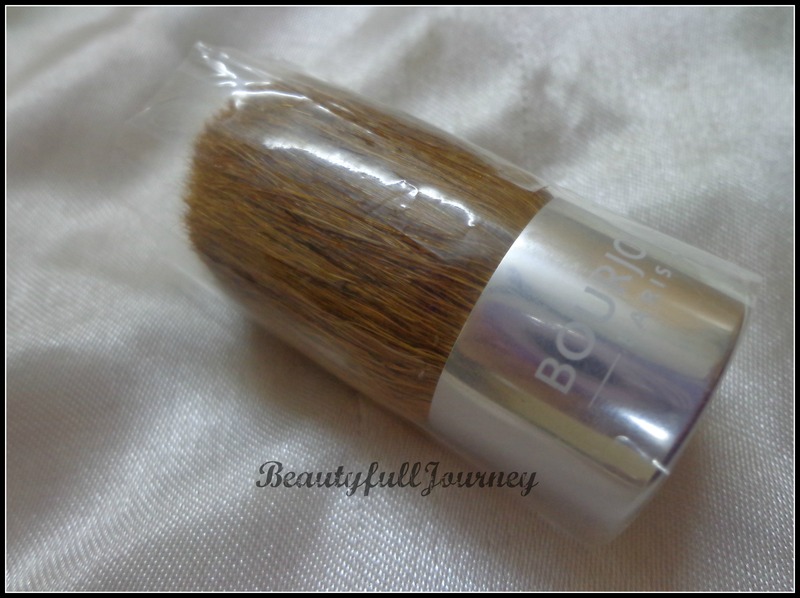 The brush comes with a plastic case which is not so great for storing the brush. The short handle of the brush gives a god grip and fits well in my hand. The bristles of this brush are soft and do not irritate skin at all. I use this brush almost daily to apply my compact/loose powder. I wash it once in 2 weeks. I generally wash it at night and leave it overnight to dry as it takes quite some time to dry fully. I have till now washed it a lot of times but have never seen any bristles shedding. Even the shape of the brush is almost the same. It has loosened up a bit but nothing bothersome. I wash this brush with a mild shampoo or liquid hand wash. It applies pressed as well as loose powders very well. The bristles are very densely packed and that helps me apply and blend powders very well. I want to try kabukis from other brands next but till then this one is perfect. Overall, this is a super cute brush which I use daily. It does its job well in applying powders. It is soft and doesn’t shed at all. I am very satisfied with this brush and I would definitely recommend it to all beginners. 2) Compact and travel friendly. 4) Applies powders very well. < Previous QUICK REVIEW, SWATCHES: Elle 18 Eye Sparklers. Next > REVIEW,SWATCHES: Lakme Eyeconic Kajal.